Don't miss important security issues anymore. Dashboard reminds you about most recent vulnerabilities that were discovered while scanning your API. Each API Scan Report contains comprehensive and prioritized list of found vulnerabilities. It includes not just issue description and affected resources, but recommended solution. Trend chart for each API gives you better overview of security landscape over time. Don't worry if you don't have any formal definition of your API. 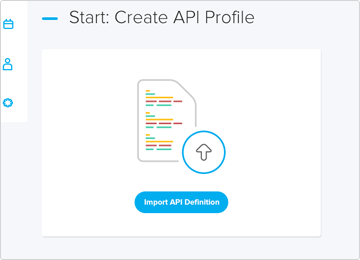 You'll be able to create API profile using smart wizard within minutes. 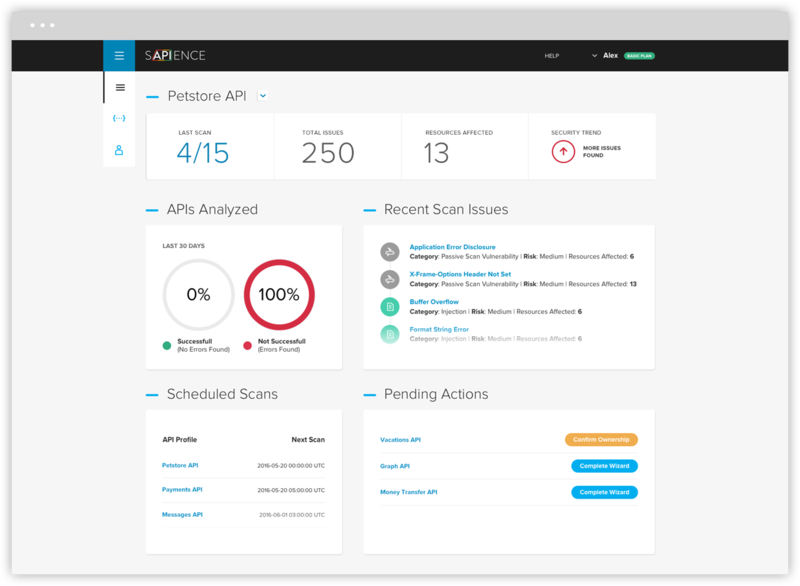 Sapience allows you to create an API profile by importing existing API definition - we support over 10 most common formats including Swagger, API Blueprint, Postman etc. Alternatively it's possible to create API profile manually using our wizard. The report includes detailed information of found vulnerabilities with recommended solutions how to fix them. 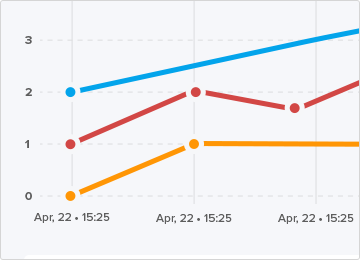 Security trend chart gives you a visual insight of your progress towards better protection of your API. Discover existing or potential security vulnerabilities by scanning an API to find issues like: SQL Injection, Remote File Include, Content Type Missing, Misused Exception Handling, Parameter Tampering etc. Security checking is an ongoing process. 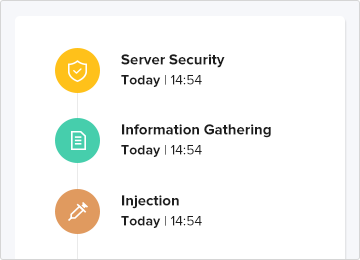 Automate it by setting scan schedule or triggering a webhook whenever you need.